Dating back to 1901 at the Great Federation Regatta staged on Albert Park Lake, Cassie Woolly McRitchie representing Victoria and using a skiff loaned to her by the then Governor of Victoria, Lord Brassey, defeated her challenger from Sydney, Elizabeth Messenger, and was presented with a magnificent pearl and ruby bracelet by the Duke of Gloucester. So great was the public interest in the female scullers that police were required to keep the inquisitive spectators at bay. Cassie McRitchie is justifiably known as the "mother" of Victorian women's rowing and as the founder of the first all women's rowing club at Albert Park in 1907. In 1973 at the great age of 96, she passed away. Despite this great start to women's interstate sculling in 1901, the first interstate championship was not conducted until 1963 in Brisbane and has continued annually since that date. 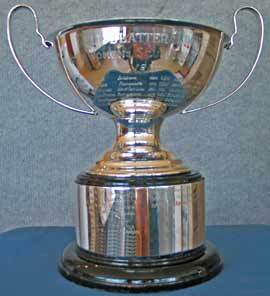 The Nell Slatter Trophy was presented by the Queensland Women's Rowing Association in 1963 to be the perpetual trophy for the Championship as a tribute to the then Queensland President Nell Slatter. This summary shows the results of the final and where known and space permits, the other scullers in order of finishing the repechage.